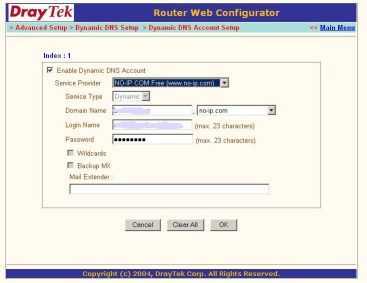 EXE with your router's settings STEP by STEP. This document is use at your own risk. UltraVNC SC (Short for Single Click) is a remote support tool. With Ultr@VNC SC you need only setup a helpdesk.txt and your local router (There is no need to setup anything on the clients computer you intend to control), and in a few steps you will beadle to offer remote support to your clients. Many people today are opting to use Ultr@VNC for its powerful and useful place in the IT Support market. UltraVNC is protected by the GPL (General Public License). Ultr@VNC is also support by enthusiastic Internet community, meaning that no other company can match the ideas or influence and speed of development of UltraVNC, using cutting edge technology UltraVNC will be showing the in years to come. Unpack the ZIP file in to a folder. 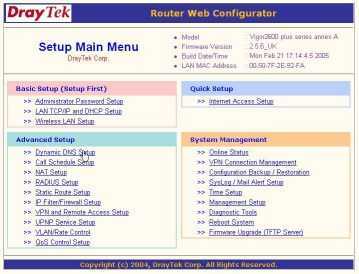 Setting up your router to support Ultr@VNC SC. 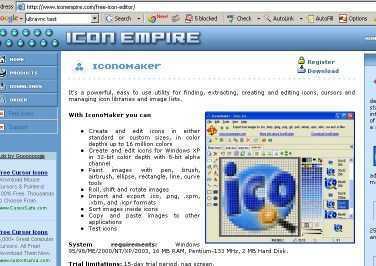 Editing your Icons with IconoMaker. Repack the files into a ZIP file. 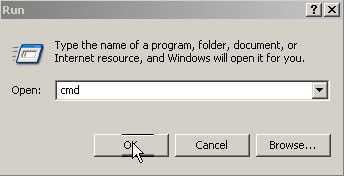 Compiling your ZIP file to a EXE file on-line. custom.zip build from UltraVNC web site. 1. Open Internet Explorer and in the address bar type in the FULL URL as indicated below. own version as indicated below. 3. On the new web page you towards the top of the page you will see a link called custom.zip. Click on the custom.zip link as indicated below. path is your desktop and click on SAVE to save the config.zip to your desktop. download. For now we will just CLOSE the download. 7. 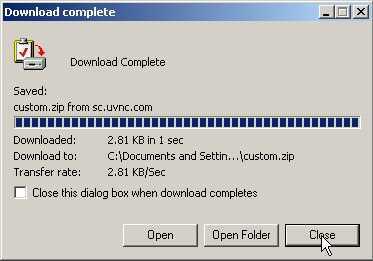 Congratulation's you have successfully downloaded the ULTR@VNC SC custom.zip. click on Extract to custom\. 3. 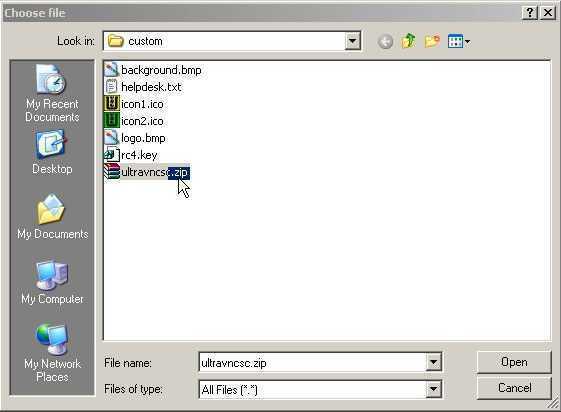 After extracting the files you will see a new folder on your desktop called CUSTOM. 4. Double left click to open this folder and after opening this folder you will see the following files. 5. Congratulation's you have successfully unpacked the files in a folder. does a look back connection out of their system. 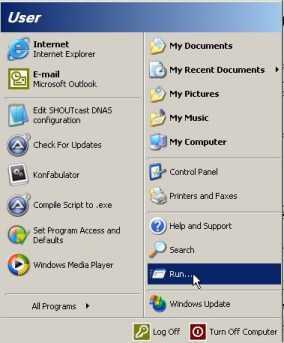 on Windows START button and click on RUN. In the run bar type CMD as indicated below. http://192.168.123.254:8080 into Internet Explorer's Address Bar as indicated below. it does mean you will loose all your information and configuration on the router. computer and PORT on your local network. On the next page click on Configure Port Redirection Table. 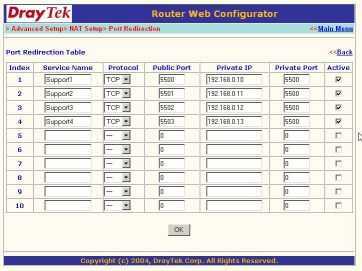 You now will need to change the settings of the NAT PORT REDIRECTION TABLE window. Under Service Name enter anything you want. support computer running VNCVIEWER ­ Listen on your network. 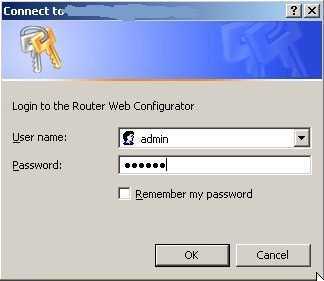 Enter your password and login to the router as indicated below. click on the Virtual Server link. 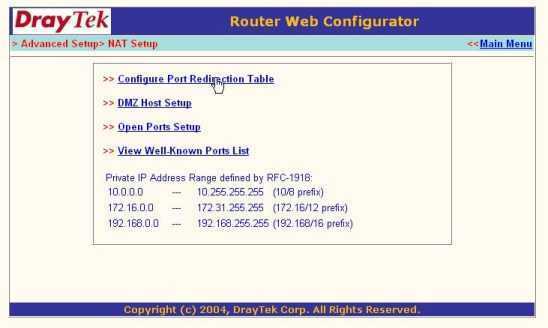 To setup port forwarding on this router enter as indicated below. Under Service Port enter the port the router should forward from the Internet side. Under Server IP enter the computer on the LAN where the PORT should be sent to. Remember to Enable the forwarded ports under Enable. router setups to look at. connect to to your Internet with. offer these services for free. domain if its not been used for a certain time period. 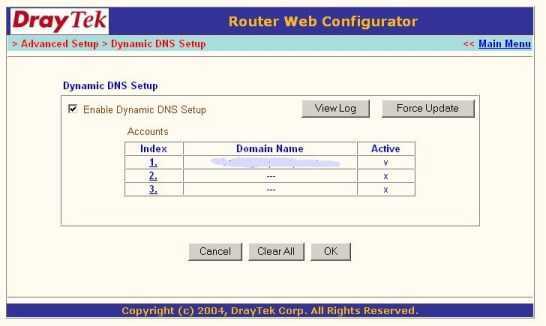 Dynamic DNS setup link to continue. DYNDNS. If you have more than one you can enter more in the other Index sections. On Account Index 1 you will again need to click on Enable Dynamic DNS Account. 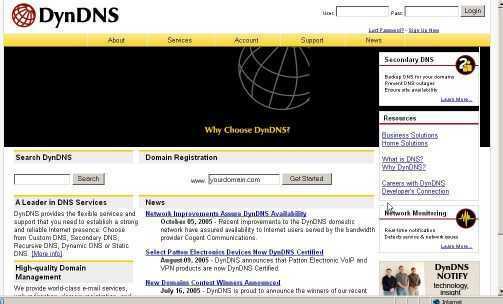 Under Provider select the Dynamic DNS provider you are using. Under Domain Name enter the domain name you chose and then the extension in the drop down. 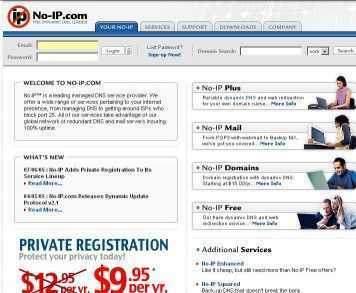 Under Password enter the password the Dynamic DNS provider has give or you have chosen. 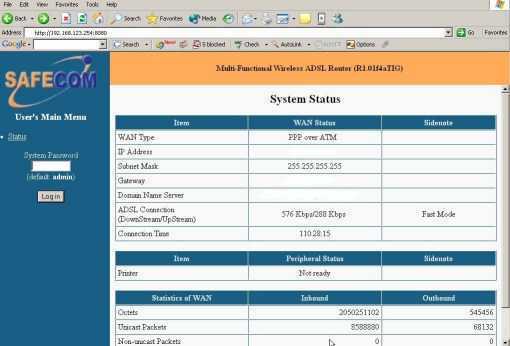 PORT Forwarding on your router). directly to the support person with out the clients intervention. 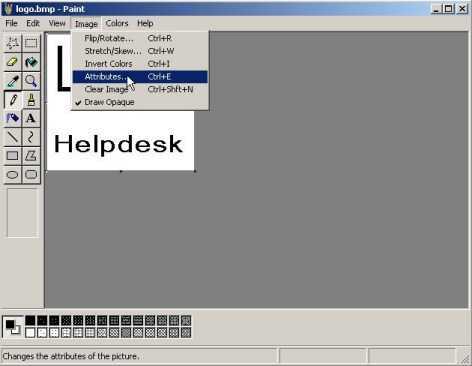 Lets look at setting the helpdesk.txt to support multiple support people in one EXE. Open the HELPDESK.TXT in the CUSTOM folder on your desktop with notepad. Support Persons Computer on the router. Second Support Persons Computer on the router. Third Support Persons Computer on the router. -- You can change allot of the TEXT to reflect your company info. -- This TEXT is written on the Info button and opens a web page. happening, You can change them to if you need to. When your done SAVE your edited file. a EXE for each of the support people. 3. On the ATTRIBUTES windows click on COLOR and then click OK.
4. When your done editing your logo.bmp SAVE your file. CUSTOM folder by following the same instructions as above. 2. The there are two icon files you can edit. 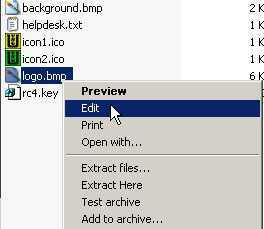 Icon1.ico is the icon file the client will see running in the Windows task bar. Icon2.ico is the icon associate to the EXE file you client download from you. associated it to open .ico files when it asks you when you open it for the first time. EDIT only after that) When done remember to SAVE your files. 5. Congratulation's you have successfully Edited your icons. on the menu select Add to archive. at the end. When done click OK to create the archive. 3. 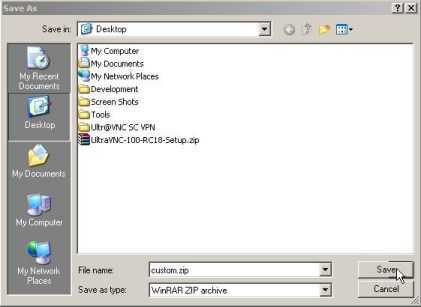 Congratulation's you have successfully repacked the files into a zip archive. Ultr@VNC. Click on the link below. CUSTOM folder you have made. 4. When done selecting the zip file, click on the Submit Query button to continue. 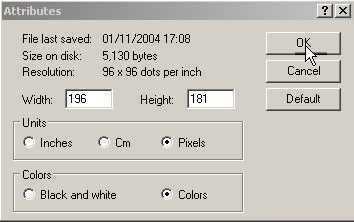 file, click on the filename.exe at the bottom on the web page to download the exe file. 6. 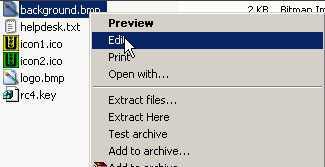 After you click in the EXE you will be prompted to save the file, Save the file to your desktop. 8. Congratulation's you have successfully Created a Ultr@Vnc SC EXE. vncviewer.exe -listen on each computer as reflected in helpdesk.txt and the router. 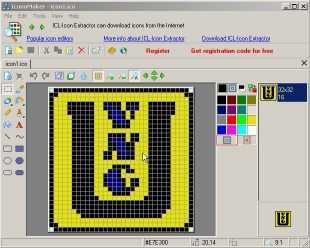 You can download Ultr@Vnc from the link below. Or do a Online Test with this tool. Or if you don't want to make and EXE and want the client to enter the details use this tool.